On the third anniversary of Adriano Capuzzo’s death, the book containing his writings and the testimonies of his students, edited by Patrizia Carrano, can be downloaded for free from the website of the Regional Committee of the Italian Federation of Equestrian Sports. This is an opportunity to learn about one of the great horsemen of our recent past. Imagine you woke up early. It is a morning in May. It is still cool, but the first sunbeams begin to warm the air and scents announcing the summer rise up from the countryside. You put the horse to a walk and after just ten minutes, you arrive on a big rolling lawn, covered with flowers. You walk in the tall grass, hypnotized by the song of millions of crickets. There are no other sounds than that melody, the rhythmic breathing of the horse and the whisper of the breeze. You stop on the top of a hill to admire the valley, dotted by the isolated foliage of monumental oaks and by the trunks of big cross-country jumps. In the background, the green of the chestnut trees softly covers the mountain that forms a backdrop. The sky is clear and you feel happy. If I have to imagine Heaven, this is the way I dream of it. And this heaven exists and I have been there. For years I entered in it on the sly nearly every morning. It is the Federal Equestrian Center at Pratoni del Vivaro, in the south of Rome. Indeed we should say “it was”, because the stupidity and dishonesty with which public properties in Italy are managed, condemned this wonderful place to decay and neglect. For many months, this authentic temple of Italian equitation, built for the Rome 1960 Olympic Games, has been closed due to lack of funds, and stables have been plundered of all furnishings by thieves. Every time I think of Adriano Capuzzo, who was one of the great horseman of our recent past, I cannot help but feel pleased by this secret and unaware affinity. Especially since I hadn’t the pleasure and honor of meeting him in life, but I could appreciate his unique personality through the stories of some of his most illustrious students and of the people who have been close to him, as well as through his writings. 1956. Jump n. 6 of the Olympic cross-country in Stockholm. Born in Rome in 1927, Capuzzo began to ride horses when he was seven years old. His first instructor was Constante D’Inzeo, father of Piero and Raimondo. Soon he began the first races. After the war, in 1953, the Italian Equestrian Sports Federation invited him to train at the Centro Preolimpionico Ippico Militare (Preolympic Equestrian Military Center) at Montelibretti. The instructor there was Fabio Mangilli. 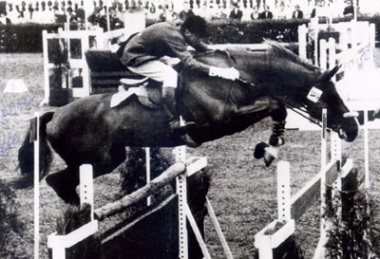 Three years later, Capuzzo participated in the Olympic Games in Stockholm on the three-day-eventing team, with Giancarlo Gutierrez and Giuseppe Molinari. 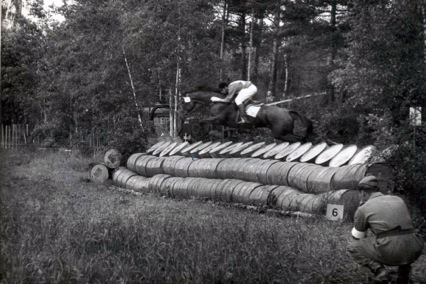 In fact, that year the Olympic Games were held in Melbourne, but the equestrian trails were held in Sweden, to avoid the compulsory quarantine for the horses. 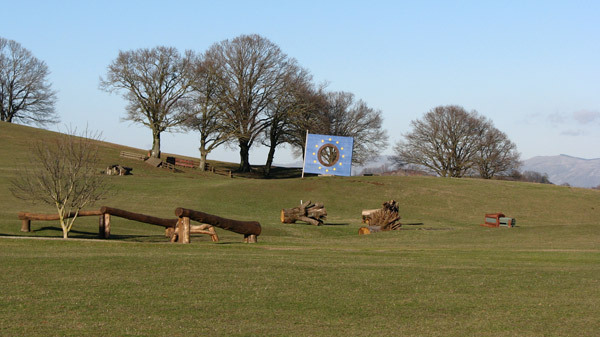 Capuzzo finished ninth at the individual level (although during the cross-country he had to stop to tighten the girth of the saddle that had loosened) and fifth in teams. Again selected for the Olympic Games in Rome in 1960, at the last moment, he was not allowed to participate in the show jumping competition because, the then president of the FISE, general Formigli, decided to keep his horse as a reserve for one of the brothers D’Inzeo, who rode before him and finished in first and second position. 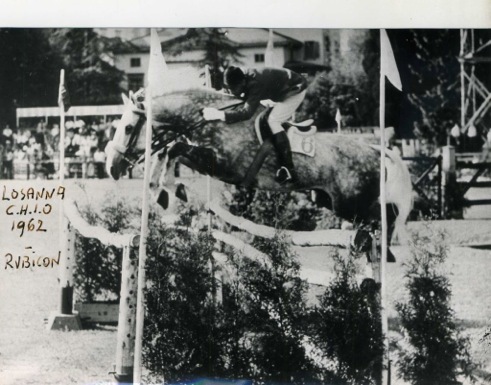 For over fifteen years Capuzzo was part of the first team of the FISE, participating in many international competitions, both in the discipline of show-jumping and in that of three-day-eventing. 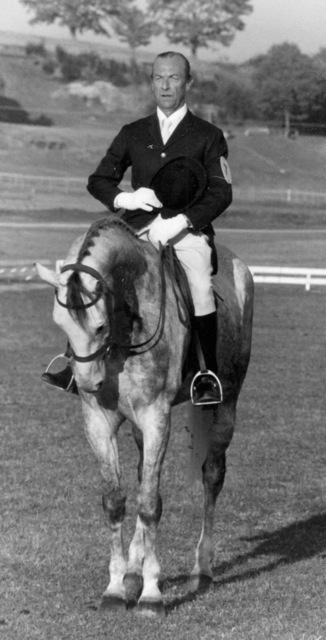 In 1974 he rode for the last time in Rome’s international horse show in Piazza di Siena. His horse was named Beau Regard. The Italian team won the Nations’ Cup after the barrage with the French. 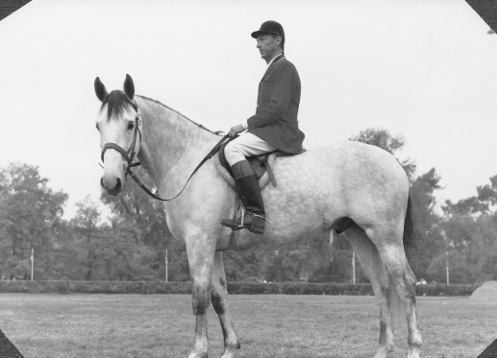 Since at least 1960, he put the teaching of equitation to young people alongside his agonistic activity. For nine years he was technical director and instructor of the Pony Club Roma and for four years of the Società Ippica Romana, where he was also vice-president. He held various positions inside the Italian Equestrian Sports Federation, first as a counselor and then as technical supervisor and representative of the three-day-eventing department. Finally, from 2001 to 2008, he was, for two consecutive terms, the President of the Regional Committee of Lazio. But I’m not going to talk about his sports results (although they were remarkable), nor about his activity in the Italia Equestrian Sports Federation. There are two other features of his personality that seem particularly significant to me. The first one is that, for all his life and also while competing at the highest levels, Adriano Capuzzo remained an “amateur”, that is to say someone who rode not for profit, but for pleasure. Indeed, Capuzzo continued to work in the hotel industry until retirement. 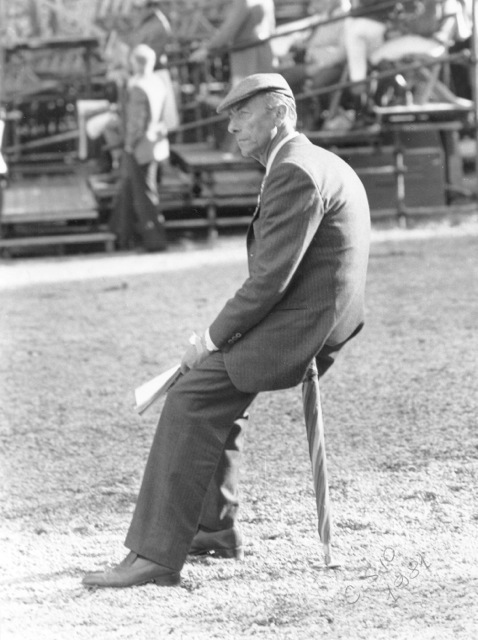 For sure, in those days in equestrian sports, there was less pressured competition than today, and this allowed him, or perhaps imposed him, to keep an alternate job other than riding. But I think his choice was above all related to the desire to keep the pleasure of competing without the urgency to grasp results at any costs. It created a way for him to maintain his own freedom. An aristocratic bearing which is well explained by the words of one of his students, Stefano Brecciaroli: “according to Capuzzo, sport was a school of life, but also a very big, very serious, game, to be faced with loyalty and smiling passion. It is for this reason that when you were about to start the cross-country, he could say to you “don’t forget to enjoy!” Obviously this did not mean for him to abdicate his competitive commitment. On the contrary, Brecciaroli explains, for him, “there were no shortcuts. The results came only through a correct method of work, which included tenacity, discipline, respect for the horse, and understanding of his limits.” But to be a real rider for him meant above all, his own words, learning to “understand what, how and when ask to a horse, considering his temperament, his abilities and his potential. Sensing the threshold of his availability and approaching it as possible, but without ever overcoming it.” Keeping his job independent from his equestrian activity has surely helped him to comply with this respect for the animal and to avoid the compromises that, at times, professionals must accept for obvious reasons of necessity. Ho avuto l’onore di conoscerlo. . . semplicemente delizioso . . . I met Adriano a time or two; competed at Pratoni del Vivaro (Saggio delle Scuole) often. We have a rider in America, John French, who has Adriano’s hands. Those beautiful educated hands one sees once or twice in a lifetime if one is lucky. I am grateful for my years in Italy riding; I still ride/coach/train the way I was taught all those years ago.